Any doubts about the influence Deputy Prime Minister and New Zealand First leader Winston Peters exerts on Cabinet can now be assuaged. Justice Minister Andrew Little on Monday decided to not take the repeal of the controversial three strikes law to cabinet after Peters and his NZ First caucus indicated they will not support the repeal. This is a major setback for Labour and Little who obviously did not get back room support from Peters before pressing ahead with the issue. The repeal is an issue Labour felt strongly about and it was gaining public support. Whether or not Little can work now to revive the changes needed will be up for scrutiny. The Sentencing and Parole Reform Act 2010 creates a three stage system of increasing consequences for repeat serious violent offenders. There are 40 qualifying offences comprising all major violent and sexual offences with a maximum penalty of seven years or greater imprisonment, including murder, attempted murder, manslaughter, wounding with intent to cause grievous bodily harm, sexual violation, abduction, kidnapping, and aggravated robbery. A first warning is issued when an offender aged 18 or over at the time of a qualifying offence, and who does not have any previous warnings, is convicted of that offence. Once an offender has received a first “strike” warning, it stays on their record for good unless their conviction is overturned. If that offender is subsequently convicted of another qualifying offence they receive a final warning and, if sentenced to imprisonment, will serve that sentence in full without the possibility of parole. The first and final warnings will stay on the offender's record. Little also wants fewer people in prison, changes to bail laws and the Government has cancelled a large prison rebuild - all in the name of revising New Zealand's criminal justice landscape. The Prime Minister's chief science adviser Sir Peter Gluckman said in a recent report tough measures on crime policies are not working. They lead to longer time in prison, creating inmates who pose a greater risk to the society into which they are eventually release. However, some families - the victims of crime - have urged Little to retain the law. 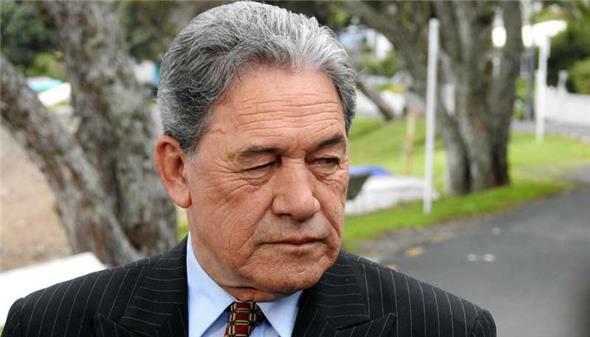 Peters will soon be acting Prime Minister while Jacinda Ardern is off on maternity leave. Though he will act for Ms Ardern for only six weeks, there will be plenty of pressure on Labour to stay strong and resist attempts by NZ First to shape the dialogue. Top-ranked Labour MPs have assured all and sundry anything proposed by Peters will need to pass through Cabinet processes. If the latest actions taken by the NZ First leader are any guide, the Government needs to prepare for a rocky ride. Since Peters burst on to the political scene after overturning the 1978 Hunua result, the MP has never been far from political chaos. He was kicked out of the National Party only to be brought back into the first coalition fold by former National prime minister Jim Bolger. Bolger had to use all of his wile, and MP friends of Peters, to keep him on side. Peters is often seen as a likeable rogue, fighting for the underdog. History will show he has had a remarkable influence on New Zealand politics. Getting Labour to agree to the $3 billion regional slush fund overseen by Shane Jones, along with the planting of a billion trees, is an example of how much influence he had in forcing Labour to agree to his terms if it wanted to lead the Government. The Greens are a side act to NZ First and it seems like Labour is becoming the same. Andrew Little says Labour is committed to a meaningful and balanced programme of change and he will be consulting coalition partners and the public on this over the coming months. He may well be ruing not consulting earlier with Winston Peters. Winston Peters. Photo: Lloyd Burr, Newshub.